Enterprise Products Integration (EPI) and AFCOM is pleased to announce their educational partnership. 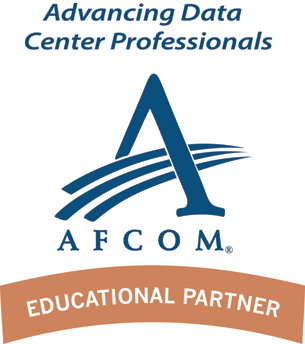 As AFCOM’s Educational Partner, EPI will provide its world-class certified data center training courses to AFCOM members at a discount. In AFCOM’s most recent State of the Industry survey of data center and facilities management professionals world-wide, it was found that one of the key challenges facing the industry today is the need for ongoing education, training, and certification. About EPI: Enterprise Product Integration (EPI), with its corporate headquarters in Singapore, is a European origin company operating world-wide via direct operations and a large partner network. EPI's focus is on mission critical, high-availability environments. EPI gained an international reputation as a company offering an extensive range of Data Centre infrastructure services including Data Centre consultancy, audit, certification and training. The company has developed a reputation for high quality technical expertise, flexibility, innovative techniques, personal service and a powerful combination of capabilities and technologies. Visit www.epi-ap.com for more details. About AFCOM: AFCOM (www.AFCOM.com) advances data center professionals by delivering comprehensive and vendor-neutral education and peer-to-peer networking to its members around the globe. Through forward-looking research by Data Center Institute, publications including Data Center Management Magazine, local chapters, regional symposiums, and major events like Data Center World, AFCOM supports thousands of data center professionals in their career advancement. In serving the greater data center industry for more than 30 years, AFCOM has earned recognition as the market leader in connecting the data center community. About EXIN: EXIN is a global provider of independent information management certification and accreditation. EXIN offer the most comprehensive portfolio of certificates and cooperate with hundreds of accredited partners worldwide, who provide training, develop courseware and manage examination centers. EXIN is ISO-certified (ISO 9001:2008). We operate according to ISO 17024, ISO 27001 and EN 45011. EXIN has certified close to 2 million individuals and continues to grow.Visit www.exin.com for more details.